Looking for new rims in Philadelphia? Say no more - we've got you covered. 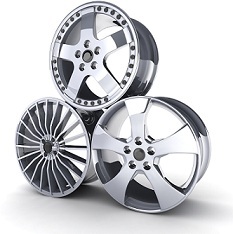 From our two convenient locations in Upper Darby and Philadelphia, we offer a great selection of name brand wheels to meet your needs for performance. Visit us if you need new wheels near Franklinville, Drexel Hill, Germantown, Tioga/Nicetown, or other regions of Philadelphia.